Our Firm | Crosswalk Investment Advisory, Inc.
To assist our clients in being good stewards of the financial resources they have, by making wise decisions in the present and clear planning for their future. Crosswalk Investment Advisory, Inc. has been licensed as Registered Investment Advisor with the Pennsylvania Securities Commission since 1999. We provide “fee-only” investment management and financial planning services. Our fees for investment management services are charged as a percentage of the assets we manage for our clients. Crosswalk does NOT maintain custody of any client funds. All client investments are held in custody at Charles Schwab and Company. 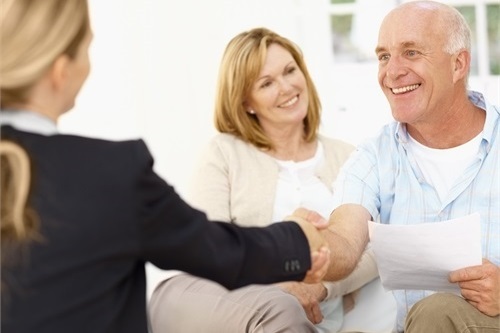 Our fees for financial planning and consulting are charged on an hourly basis. Detail of our fees schedule is specified in our Registered Investment Advisory Agreement, which is provided to each client prior to any fees being charged and is provided to a prospective client upon request. Part 1 contains information about our business and whether there have been any issues with government regulators or clients. Part 2 outlines our services, fees and strategies. Our Form ADV will also be provided to any prospective client upon request. Please see the tab “About Us” for a brief outline of each advisor's educational background and experience. Confidence. We will ensure at all times that the interests of our clients always comes first. Our clients must have absolute confidence that their hard earned money is as safe, if not safer, under our management as it is under theirs. Our character must be absolutely beyond reproach and our integrity unquestionable. Competence. We will continuously maintain a level of competence to ensure that our investment management decisions and financial advice are well researched and efficiently and timely executed. Communication. We will ensure that our clients understand at all times what we are doing for them, why we are doing it and what it will cost them. We will provide timely and clear correspondence to convey these points.